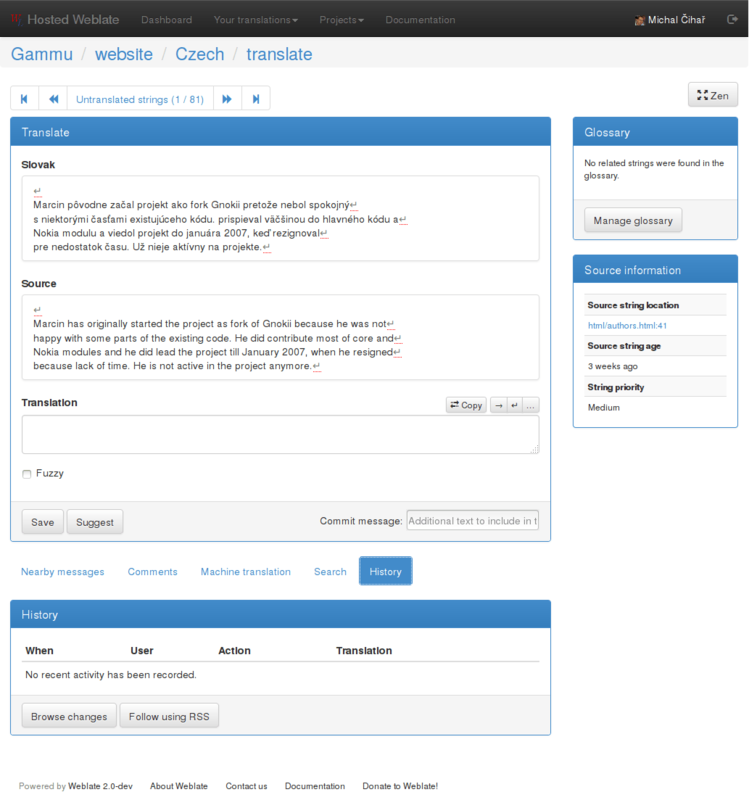 By default, this will show the components of projects you are subscribed to, cross-referenced with your preferred languages. You can switch to different views using the drop-down menu on the highlighted button. 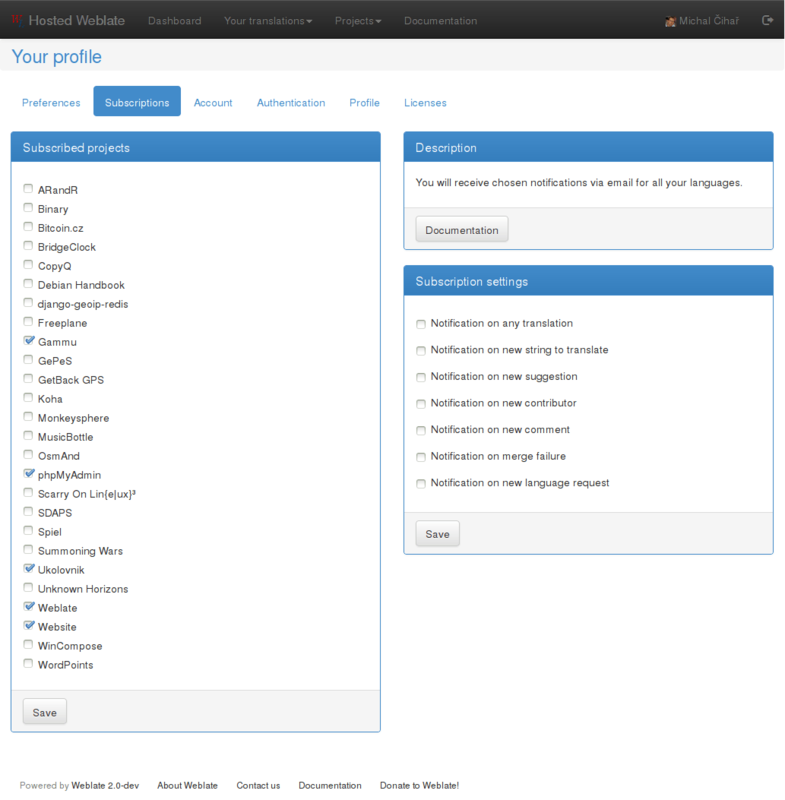 Your subscriptions will show translation status of only those projects you are subscribed to, filtered by your primary languages. 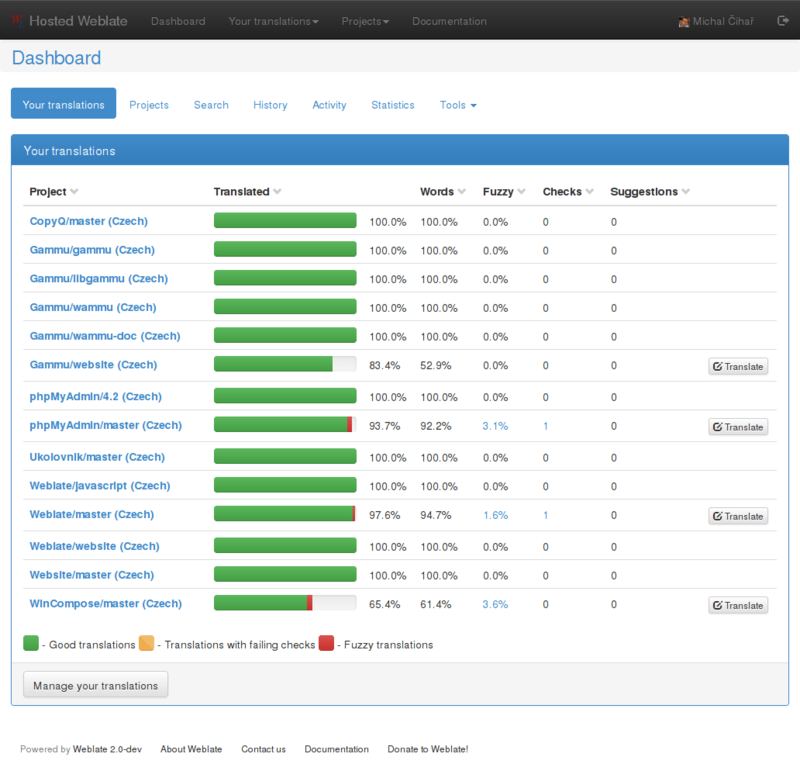 In addition, the drop-down can also show any number of component lists, sets of project components preconfigured by the Weblate administrator. 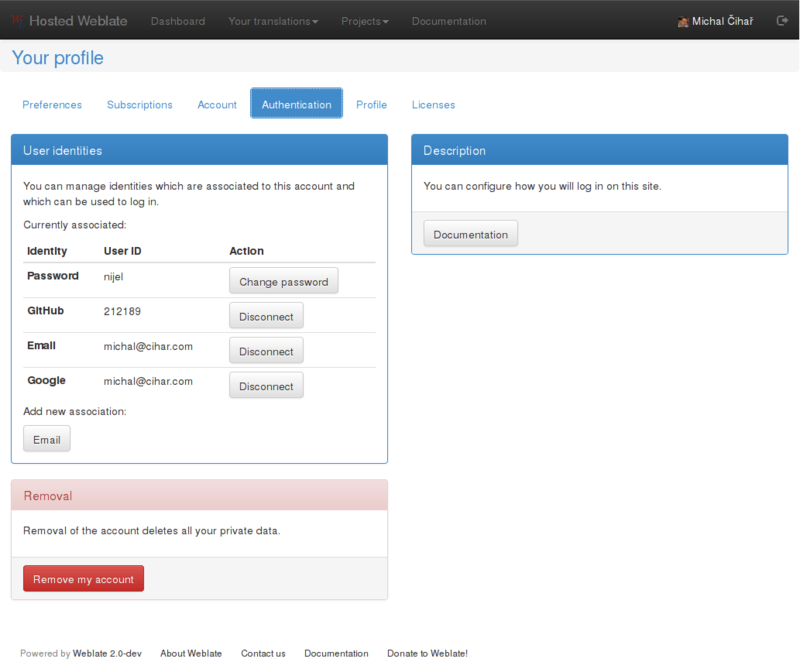 Weblate can be configured to show avatar for each user (depending on ENABLE_AVATARS). These images are obtained using libravatar protocol (see https://www.libravatar.org/) or using http://gravatar.com/.